Sometimes you just want to get your face cleaned all the way deep down! You could pay $100-300 for a Clarisonic brush or you can just spend $6 and use a little bit of gentle elbow grease. 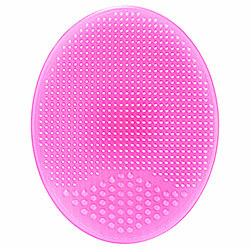 I bought this Precision Pore Cleansing Pad about 4 weeks ago and I have been in love with it ever since. For only $6 this thing is amazing! It really makes my face wash foam up and deeply cleans my face. I also use it daily and have had no problems with irritation.It has soft silicone nubs that gently massage the face and feel so good. Paired with my CeraVe Hydrating Cleanser it is like a match made in Heaven. I also bought a second one and have been using it to clean my brushes. It works perfectly! I highly recommend this simple yet effective cleansing pad. What does the Sephora Website have to say about it? Previous Post Can You Exercise Too Much?